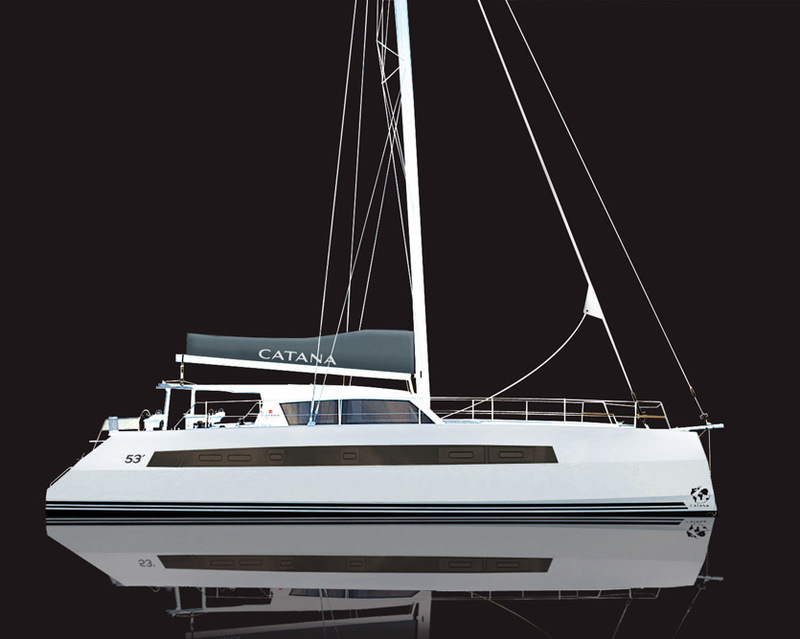 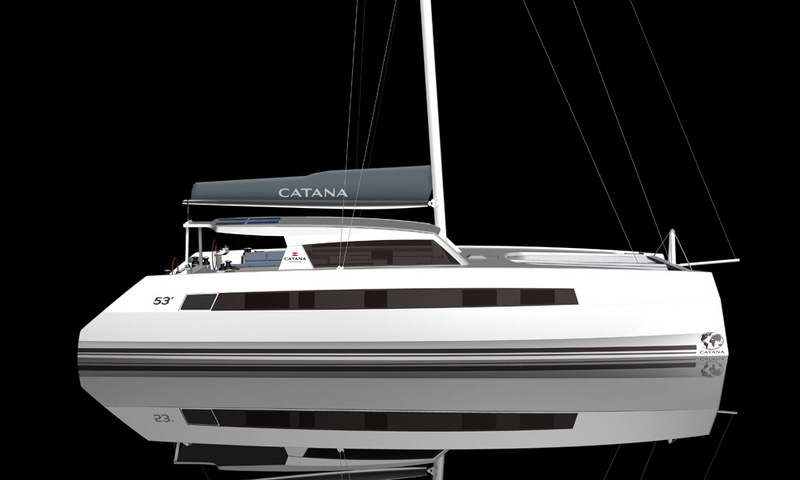 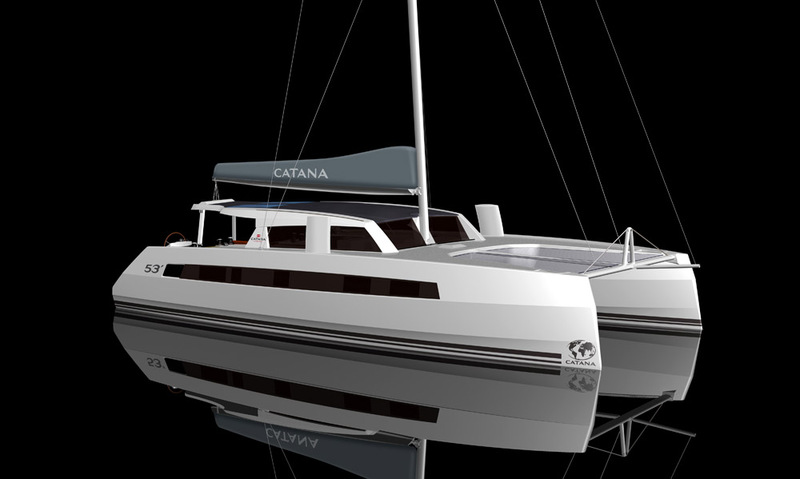 C53 THE LATEST EDITION TO THE CATANA RANGE! 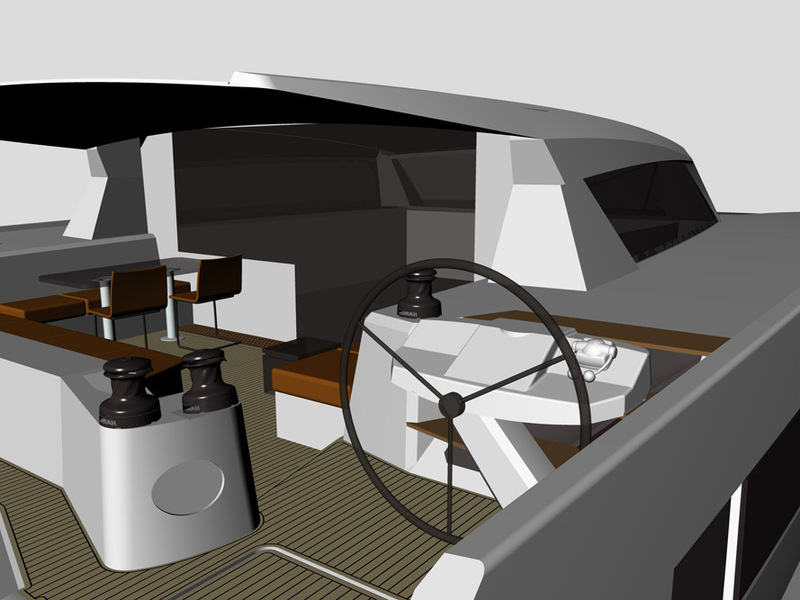 Seen from the inside: With minimalist design, the cockpit and saloon totally flush deck and multi purpose extandable lounge, the interior fittings of the Catana 53 are innovations that set new standards of comfort and offer truly unique living spaces. 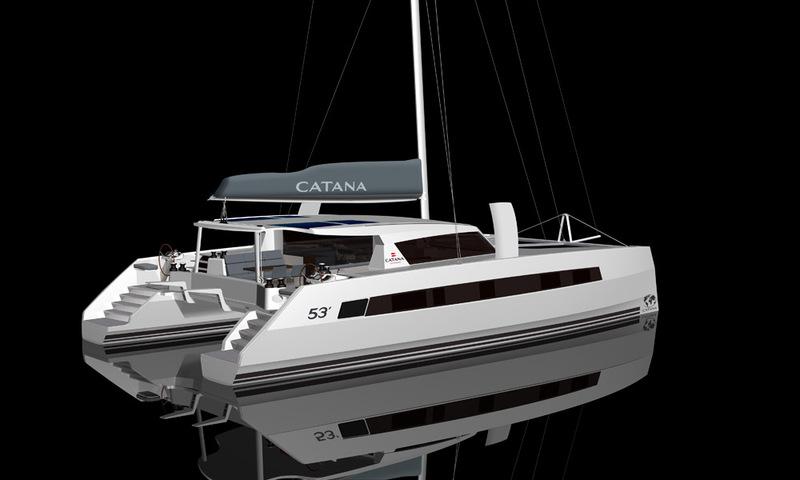 The galley and island unit, wide passageways and spacious cabins give the Catana 53 an incredible sense of space. 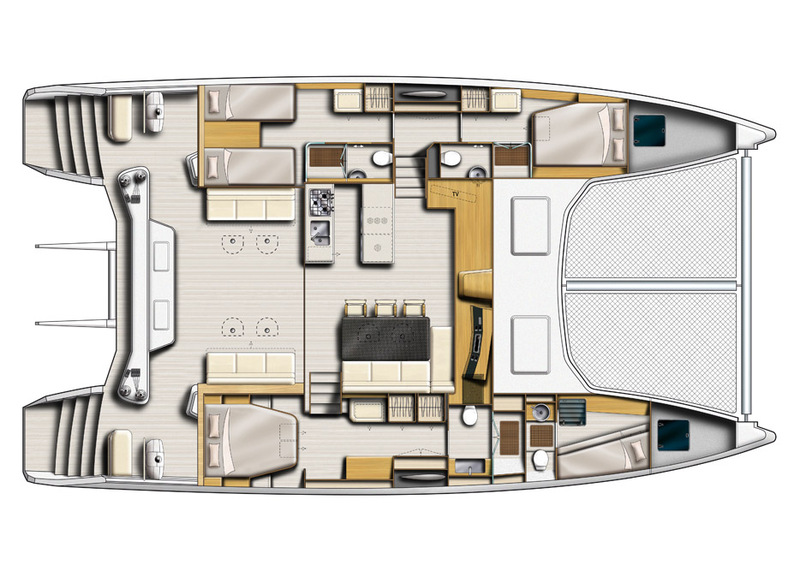 This unrivalled level of comfort goes hand in hand with high performance and a 360 ° view, wether from the steering position, cockpit, saloon or chart table. 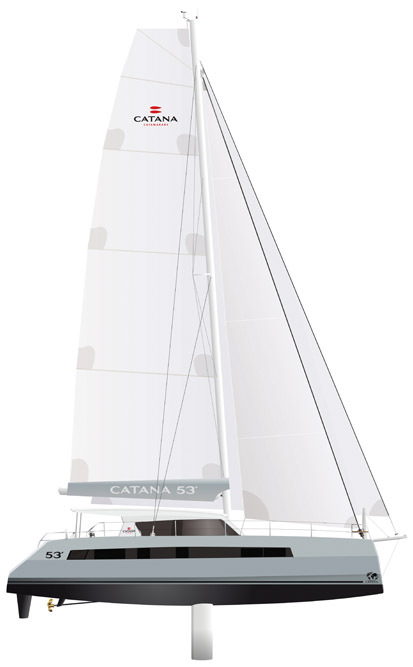 Seen from the outside : the exterior of the Catana 53 is particularly elegant, with its reverse bows and inward-curving daggerboards. 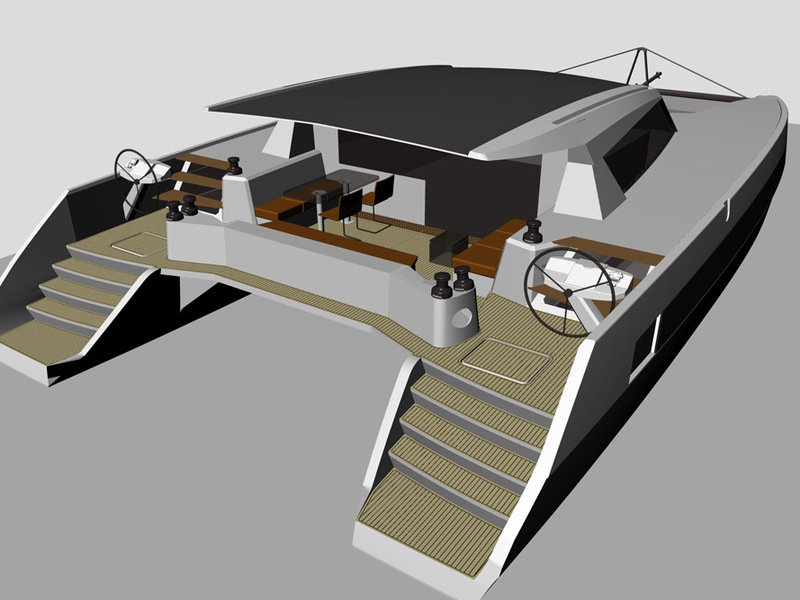 The new hulls have archieved great results. 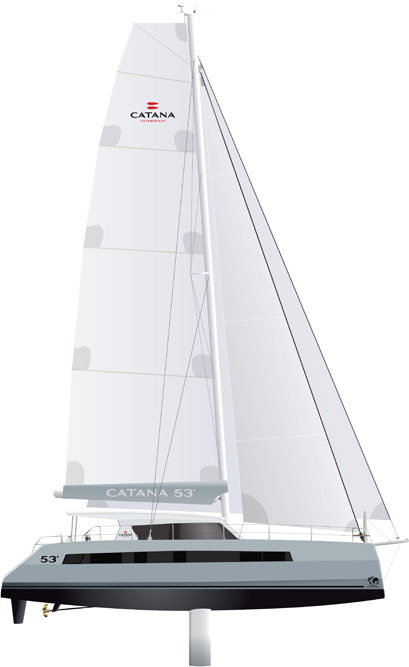 Benefiting from the cutting edge of recreational sailing construction, the infusion process and the use of carbon (now standard on all models), the Catana 53 is a high performance, hardwearing, light boat.